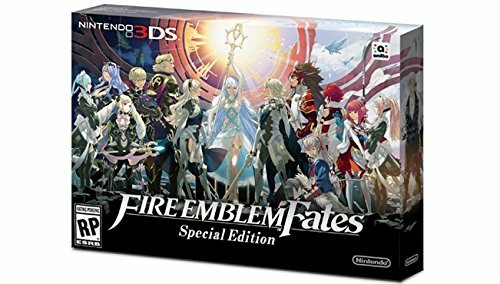 GameStop cancels preorders of Fire Emblem Fates Special Edition made after 11/18/2015 — GamingWithSwag.com - Dads By Day, Gamers By Night. It was leaked on Reddit recently that GameStop accidentally oversold their allotment of Fire Emblem Fates Special edition for the Nintendo 3DS. Apparently preorders were live and then shut down when their limit had been reached, however the SKU was accidentally turned back on again and additional preorders have been made. Now store managers have the wonderful duty to call their customers and explain that the very hard to find game that they trusted GameStop to reserve, is now unavailable. In addition, the email states nothing about "making things right", just that they are able to preorder the stand alone edition or get their money back. As you may know, GameStop associates are always asking you to preorder games so you can have a copy on hold when it releases. They love to generate these preorders for additional guaranteed revenue that can be invested ahead of time. This also builds brand loyalty for customers to keep trading games in that they are done playing and reserve the latest titles. New software sales are always a small profit margin for retailers. However, the profit generated by the used games that are traded into GameStop towards these preorders pays off if they are able to turn around the items quickly. Overall, I know computer glitches happen, and I know things like this are a pain for retailers because it makes them look bad. I really feel bad for the staff at the GameStop retailers as they have to deal with what is going to be some really unhappy customers. But seriously GameStop? You couldn't have offered a goodwill "I'm sorry" gesture? How about a coupon for 10% off any new or used game? It could have been the olive branch that could have retained additional brand loyalty, instead of questioning their decision to preorder at GameStop.